My student Ioannis Kazantzidis, from Kingston University (United Kingdom), defends his PhD work "Vide-omics: A Genomics-inspired Paradigm for Video Analysis" with success. My student Ivan Pires, from Universidad da Beira Interior (Portugal), defends his PhD work "Multi-sensor data fusion in mobile devices for the identification of Activities of Daily Living" with success. Divulgative article "Los ordenadores son vigilantes novatos; la genómica les enseña a ser mejores" (in Spanish) about the vide-omics paradigm is published by The Conversation España. Invited keynote on visual monitoring of people in AAL applications at BMVA Symposium: Computer Vision for smart environments and assisted living in London. Presentation of our new EU project PAAL - Privacy-Aware and Acceptable Lifelogging services for older and frail people, funded under the framework of the Joint Programming Initiative "More Years, Better Lives," at the JPI MYBL Conference. The Special Issue on Computer Vision in Healthcare and Assisted Living in the IET Computer Vision journal is published. Paper Recognition of Activities of Daily Living Based on Environmental Analyses Using Audio Fingerprinting Techniques: A Systematic Review publised in the Sensors journal. Paper "Vide-omics: A Genomics-inspired Paradigm for Video Analysis" published in Computer Vision and Image Understanding journal. Viva of PhD Thesis "Development of a scalable, reproducible and semantically interoperable emergency triage system" by my student José Miguel Bellod Guillén. Looking for experts and companies interested/working in image-based trade mark retrieval. Contact me. Invited talk at the International Workshop on Assistive & Rehabilitation Technology (IWART 2016). 2nd IET International Conference on Technologies for Active and Assisted Living (TechAAL 2016) chaired in London. 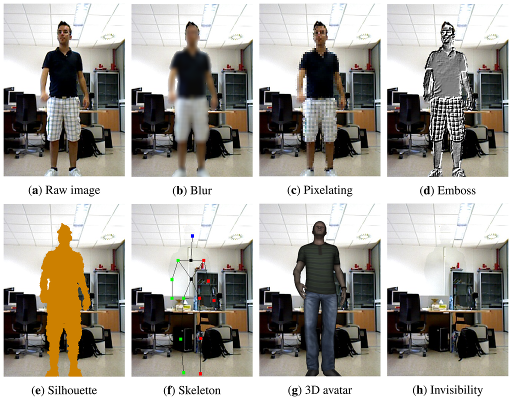 Paper "Human Action Recognition Based on Temporal Pyramid of Key Poses Using RGB-D Sensors" presented by Enea Cippitelli at ACIVS 2016 is awarded the Best Student Paper prize. Published call for papers on Computer Vision in Healthcare and Assisted Living for the IET Computer Vision journal. Deadline on 23 January 2017. Workshop on "Expectations for AAL and Enhanced Living Environments" chaired at the AAL Forum 2016. Paper "Validation Techniques for Sensor Data in Mobile Health Applications" has been published in the Journal of Sensors. 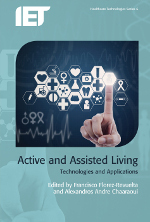 Book "Active and Assisted Living: Technologies and Applications" published by The Institution of Engineering and Technology. Paper "Weakly supervised activity analysis with spatio-temporal localisation" published in Neurocomputing journal. Paper "Action identification using a descriptor with autonomous fragments in a multilevel prediction scheme" published in Signal, Image and Video Processing journal. Published call for papers for the 2nd IET International Conference on Technologies for Active and Assisted Living (TechAAL 2016). Paper Identification of Activities of Daily Living Using Sensors Available in off-the-shelf Mobile Devices: Research and Hypothesis presented at the 7th International Symposium on Ambient Intelligence (ISAmI 2016). Paper Kinect and Episodic Reasoning for Human Action Recognition presented at the 13th International Conference on Distributed Computing and Artificial Intelligence (DCAI 2016). Discussion paper The ethics of using cameras in care homes published in Nursing Times. I offer 3 funded PhD opportunities: "Towards a robust method for person segmentation in videos. Application to ensure privacy in active and assisted living services", "Parallel evolutionary algorithm for dense pixel matching in presence of distortions" and "Evolutionary ordering of multidimensional spaces. Application to image processing and computer vision". Deadline: 18/03/16. How to apply and details. Look for them in the list. Please, you have to state that you apply to the project you are interested in. If you intend to apply for a Studentship and are interested in one of the projects below, the outline proposal listed for each project will satisfy the requirement to submit a project proposal as part of your application. So, there is no need to submit now a complete project proposal. In the last years, Kingston University has participated in different projects (caring4U and BREATHE) to design and develop video-based systems to monitor people in private spaces. The main application of these systems have focused on active and assisted living (AAL). AAL refers systems aimed at improving the quality of life and supporting independent and healthy living of older or impaired people by using information and communication technologies (ICT) at home. However, this type of monitoring using cameras can be seen as intrusive and as violating rights to privacy, because of the concern that raw video images could be viewed by unauthorised viewers or stored for inappropriate use. Therefore, we have been working in different mechanisms to ensure privacy in videos by detecting the person/s in the scene and modifying the image so as to increase privacy while maintaining the necessary intelligibility required for the applications. This methods have been employed with both RGB cameras and RGB-D devices (Kinect or similar). The first stage in these methods is to locate the person and segmented from the background. While this is easier with RGB-D devices, it is still very complicated to achieve good results with RGB cameras under real conditions, where shadows, changes in lighting, occlusions due to furniture, may affect the segmentation. The aim of this project is to design and develop a robust method for the segmentation of people in indoor spaces. There are many algorithms for background extraction/foreground detection. However, these algorithms work differently according to the conditions of the environment. Therefore, the idea is to develop a method that decides at every moment which is the appropriate algorithm or combinations of them in order to improve the segmentation. The method will also autonomously decide when the algorithm needs to be changed or re-started. It will also considered machine learning methods able to recognise if a person is in the scene. Mathematical morphology (MM) is used for image processing in different applications: noise filtering, shape simplification, edge detection, skeletonisation, shape analysis, segmentation... MM has two basic operators, erosion and dilation, from which many other morphological operations are derived. These operators rely on an ordering of the pixel values. MM is applied to a set provided with an order and with a supremum and an infimum pertaining to that order. This is the reason why MM has been mainly applied to binary or grayscale images. Extension to multivariate data, as colour images, is not straightforward, because there is not an ordered relationship among vectors. This project will investigate different alternatives to obtain orderings that preserve the topology of the input space. Besides, as calculating those orderings are computationally expensive, different proposals using evolutionary computation will be considered. Dense pixel matching is an essential step required by many computer vision applications. While a large body of work has addressed quite successfully the rectified scenario, accurate pixel correspondence between an image and a distorted version remains very challenging. Paper "From Data Acquisition to Data Fusion: A Comprehensive Review and a Roadmap for the Identification of Activities of Daily Living Using Mobile Devices" published in Sensors journal. Paper "Automatic parameter tuning for functional regionalization methods" published in Papers in Regional Science. Paper "Recognition of Activities of Daily Living with Egocentric Vision: A Review" published in Sensors journal. Invited talk "Visual monitoring of people in private spaces. From the "big brother" to the "good brother"" given at the Royal Society of Medicine. Organisation of the IET International Conference on Technologies for Active and Assisted Living (TechAAL 2015). My PhD student José Ramón Padilla López defends his doctoral thesis "Protección de la privacidad visual basada en el reconocimiento del contexto". Lecture given in training school organised by COST Action IC1206 - De-identification for privacy protection in multimedia content. Special session on "Monitoring people in private spaces: technological advances and societal issues" organised at the AAL Forum 2015. Invited to give talk "Visual monitoring of people in private spaces. From the "big brother" to the "good brother"" at the Royal Society of Medicine. Paper "Marginalised Stacked Denoising Autoencoders for Robust Representation of Real-Time Multi-View Action Recognition" published in Sensors journal. Call for abstracts - Session on "Monitoring people in private spaces: technological advances and societal issues" at the AAL Forum 2015 - Deadline: 15th July. Paper "Visual Privacy by Context: Proposal and Evaluation of a Level-Based Visualisation Scheme" published in Sensors journal. Call for papers - IET International Conference on Technologies for Active and Assisted Living - Deadline: 4th September. Call for abstracts - 3rd International Symposium SRUK/CERU Society of Spanish Researchers in the United Kingdom - Deadline: 30th May. Call for papers - Computational Intelligence and Neuroscience journal, Special Issue on Computational Intelligence for Ambient Assisted Living. I offer 2 funded PhD opportunities: "Parallel evolutionary algorithm for dense pixel matching in presence of distortions" and "Evolutionary ordering of multidimensional spaces. Application to image processing and computer vision". Deadline: 20/03/15. How to apply and details. Look for them in the list. Please, you have to state that you apply to the project you are interested in. Talk given at Networking Workshop on "Salud y tecnologías aplicadas a la salud" organised by the Valencian Universities Network for the Promotion of Research, Development and Innovation (RUVID) and the Society of Spanish Researchers in the United Kingdom. I offer 2 funded PhD opportunities: "Parallel evolutionary algorithm for dense pixel matching in presence of distortions" and "Recognition of activities of daily living with wearable vision systems". Deadline: 20/06/14. How to apply and details. Look for them in the list. Please, you have to state that you apply to the project you are interested in. Ambient assisted living applications require real time monitoring of the state of a person. Cameras have only been recently considered in order to recognise activities of daily living as they provide rich information about what a person is doing. Recent project make use of different types of vision devices, e.g. RGB cameras, omnidirectional cameras, RGB­-D devices (e.g. Microsoft Kinect), located in the environment. Recognition of human activity at home is complex because of the possible cluttered environment and the occlusions created by the body, so the hands and interactions with objects are difficult to see. Recent developments of wearable vision systems, e.g. Google Glass, may help to solve these problems. Therefore, this project will investigate the use of wearable vision systems to recognise human activity for ambient assisted living applications., e.g., mild cognitive impairment. Call for papers - IEEE Intelligent Systems, Special Issue on "Ambient Assisted Living and Robotics"
Call for papers - IEEE Transactions on Human-Machine Systems, Special Issue on "Ambient Assisted Living - sensors, methods and applications"
Copyright © 2013 Francisco Flórez. All rights reserved. Original design by NodeThirtyThree + Free CSS Templates.